I lost my mom a few months ago and it is still feels like an invisible blanket on some days. I’m studying and working at Temple University and sometimes the long train ride is filled with tears, but most days I try not to think about the loss of my mother. I am still doing all of the same things I was before my mom died on Feb 9, 2017, but sometimes I feel like I’m watching myself rather than living my life. It’s kind of eerie, but I do know that I love when my own children are nearby…it eases the pain of losing someone that has always been in my life. And my husband is a constant source of strength and encouragement. According to grief.com, many are surprised by how deeply the loss of a parent affects them. “Mothers tend to hold families together. They are the ones who keep in touch with all the family members and spread the news around.” The child becomes painfully aware that “no-one is ever as interested in everything you do as your mother, or as proud of you.” Judy Ball, a free-lance writer for Freitage Funeral Home in Bridgetown, NJ suggests some tips on grieving the loss of a parent. Remember you have every reason to grieve. Even if we find ourselves “parenting our parents” before their deaths, it is the parent of our youth and childhood that we bury. Find ways to talk and grieve. Just saying aloud the words “Mom” and “Dad” is remarkably consoling and healing. Forgive yourself for being human. We can be consoled that our deceased parent understands and forgives us. Grow from your experience and tragedy. We can use our losses as tools to help us grow in our understanding of self and our sensitivity to others. Take heart. Our life has not lost meaning; indeed, it has taken on new meaning as we bury part of our past and write a new chapter in our lives. Here I am on the eve of my eldest son getting married, and what am I thinking of? I’m thinking about when he was born–of course. It doesn’t help that he chose to be married in the same month as when he was born, so even the slightest pumpkin aroma or the beginnings of a fall chill remind me of those waiting, hopeful days. I was so young and so naïve, but so excited on that memorable day that I drove not twice but 3 times to Grandview Hospital, hoping to deliver the child that had taken over my body. The leaves were a colorful plaster along the side of Ridge Rd as my mom and I hurried to my destination. I can see the wet, colorful red and yellow leaves with the tire paths through them as if it were yesterday. The third time I visited the hospital, I had a higher than normal temperature and out of the kindness of the nurse’s heart, I was allowed to stay overnight. I had run out of relief at home, so I was ready to deliver. I didn’t seem to mind that I lay on a gurney that night in a dark room with only the pain to keep me company. The nurses were tired of me coming in, claiming I had pains when I wasn’t dilated enough. So when they checked me in the morning, I was sure I’d get the same response to “go home and get some rest.” But I can still hear the doctor’s thrilling response to my negative assumption, “No, you’re going to have a baby today!” Oh what sweet words they were. I had had it with this pain and the waiting. I’m not sure if I cried tears of joy then, but I am today just thinking of those words on that milestone of a day. I was going to have a child and this tiresome pregnancy would be over. Later, people mixed congratulations with “Oh, your difficulties are just beginning,” but I have to say, I never found that to be true. Having a child, holding a child, and loving a child is just too wonderful to compare. I was not a good pregnant woman and an even worse deliverer, but being a mother…now that’s something I loved and still love today. I am an empty nester and yet I can still feel his body next to mine after the delivery. It was too beautiful to describe. My firstborn has found someone to share his life with and even though I know my mothering will not be needed very much at all, I couldn’t be happier. I sure wouldn’t want to give birth again, but I am so thankful that this fall, I can celebrate again his wonderful birth and marriage. Rest in peace, Sam, we will always love you. “Holy Cow, they saved the best for last!” was Robert Gehman’s reaction when he first caught a glimpse of Adeline Rush. His family was visiting at Addie’s home in Dublin, Pa when all the girls came down the stairs after changing out of their church clothes. He noticed them all but it was the last one that stole his heart. 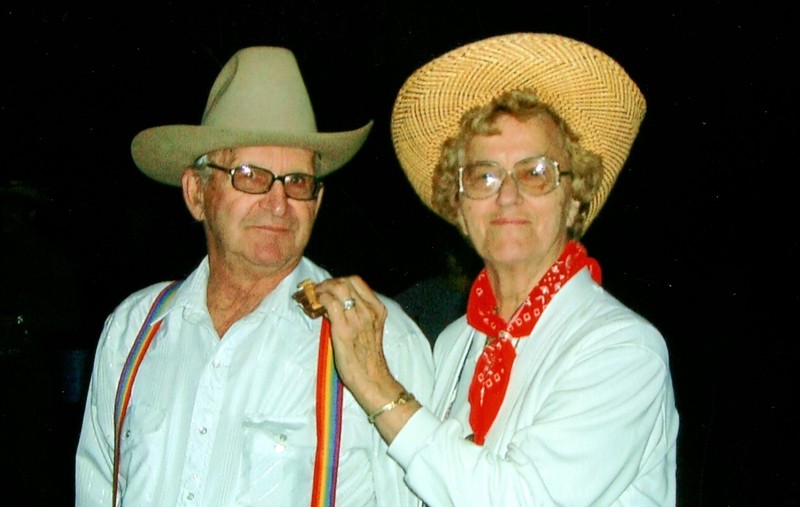 Even today, after 62 years of marriage, Robert (Bob) and Adeline (Addie) Gehman still enjoy being together and are committed to their church, their family and their farm. The farming partnership they built over the years utilized their gifts, but also required a lot of grit and determination to create a 228 acre farm with 200 head of cattle and 75 milking cows. “I just wanted to be a farmer ever since I can remember,” states Bob. Bob, the son of Norman and Viola Longacre Gehman, grew up in Lanark, a small town outside of Allentown where he shared a bedroom with 3 brothers. Two sisters slept in another very small bedroom. “My dad worked as a florist for 26 years and he had long hours especially on holidays and us children would sit on the radiator waiting for him to come home.” Even though his father later worked for the family oil burner business, Bob only was interested in farming. “I had uncles that were farmers and I loved going to my uncles’ farms for a week at a time.” Bob remembers being at Uncle Henry Longacre’s farm one time as a young boy and walking past the cattle truck when a cow “blessed” him with excrement. But even that didn’t discourage Bob from being a farmer. For a while they lived in an apartment in Plumsteadville and then worked for a number of farmers, including Dan Schantz. They attended Swamp Mennonite Church where Bob had been carried in by his mother many years earlier. By 1959, they had 3 children and an opportunity to rent a farm in Coopersburg that was owned by Wellington Cassel and called Marwell Farm. Listening to his parents talk about their home life, Bob Jr comments, “They have a successful business, good marriage, and good kids.” Addie says, “We always felt that the Lord gave us a big house so we had to use it. We had cousins by the dozens that wanted to come here on the farm.” Over the years, not only did they house nieces and nephews, but they had trainees come to live with them, six from Paraguay, three from Brazil, and one student from Germany. But they have had some hard times, too, especially when their daughter Susan took her own life after several serious bouts of depression, leaving a husband and three sons, aged 9, 13, and 15. 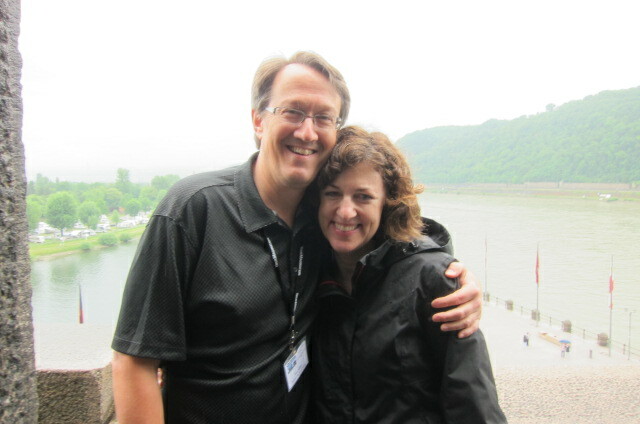 Although they miss their daughter every day, Bob and Addie have found continued strength and reliance on the Lord, their family and their church family. Addie taught guitar lessons at Clemmer Music for one day a week for 31 years. “It was a good chance to get away from the farm and it was also very rewarding to see a person come in not knowing anything about an instrument and go on to be a part of a worship band.” They’ve also taken some time away from the farm to travel, visiting Europe, Paraguay and Brazil.